Lovely, lovely rain on my veranda! Longfellow was a pretty smart guy, having grasped the reality of the world being big and the fact that communication between humans from different lands can be difficult when he wrote: Music is the universal language of mankind. More than two decades of life on an island touted as a ‘tourist destination’ can sure test one’s patience with … well … tourists, and nothing brings out the worst, the grumpiest, the most bellyaching sniveling in people on holiday than rain. Yes, we here do understand that you’ve been looking forward to a getaway on a tropical island for yonks, that you may have scrimped and saved for a long time to dig your toes into sand and will be so disappointed if you don’t return to wherever you come from tanned to a crisp that will make every pasty friend you have back home go viridescent with envy. Yeah … we do get that. Whatever you do DON’T BRING AN UMBRELLA! It’s a pain to carry around, and you will end up poking someone in the eye. DON’T DO IT! We may even feel sorry for you when it rains every single day of your short holiday. This isn’t Disneyland! Not everyone is tasked with making your vacation perfect in every way. In fact, no one is. Really. Those who may think hounding hotel staff, taxi drivers, restaurant owners, shopkeepers … anyone who lives or works here … need to get a grip on their own umbrella … because you will need one. And none of us can answer the oft-repeated question: When will it stop raining? You see, we know it’s raining, and we’re often really, really happy about it. We’ve lived through the dry periods when water restrictions force anyone without a big collection tank to round up buckets and pots and all sort of vessels in various shapes, sizes and colors, then stand on the roadside waiting for a water truck to show up and fill said vessels. We’ve seen our gardens shrivel up, fruit wrinkle on the vine and fruit bats searching long and hard for a bite or two that still has some moisture in it. We’ve shared out cups of hard-won liquid with birds about to tumble out of trees from dehydration. We’ve had our houses invaded by ants and spiders driven to the few damp areas inside. See? 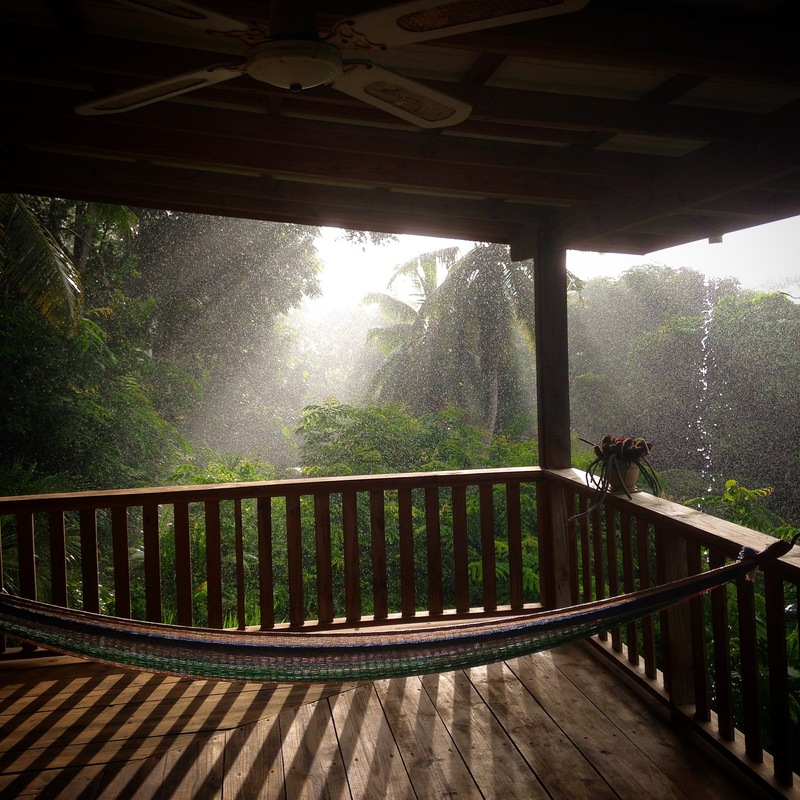 It rains in the tropics! Most of us would like to work up more sympathy, but, quite frankly, we rather tire of hearing the whinging. We would be happy to lead you to information you should have checked before you decided to holiday in the tropics, but we are too nice to rub it in. And if you catch us on a bad day you may have our take laid out like this: (1) Welcome to the tropics (2) How do you think this place stays so green and lovely? (3) It’s not like you’re going to freeze. Climate Characteristics: Constant high temperatures throughout the year. 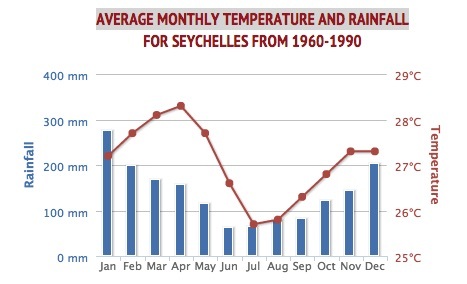 Average monthly temperatures are very similar – yearly range is about 2 to 3°C (36 to 37°F). Monthly precipitation is evenly distributed and annual amounts are usually greater than 1500 mm (59 in.). These climates also have frequent cumulus cloud development with some of these clouds becoming air mass thunderstorms. Humidity tends to be high. So …the sea is warm and swimming in the rain is a lovely experience that presents little diamonds of splash that bounce around before your eyes. We need the rain. We have no control over it or the timing of your holiday. As Kermit so eloquently sang … It’s not easy being green. Me ‘n Eddie Rabbit love a rainy night.